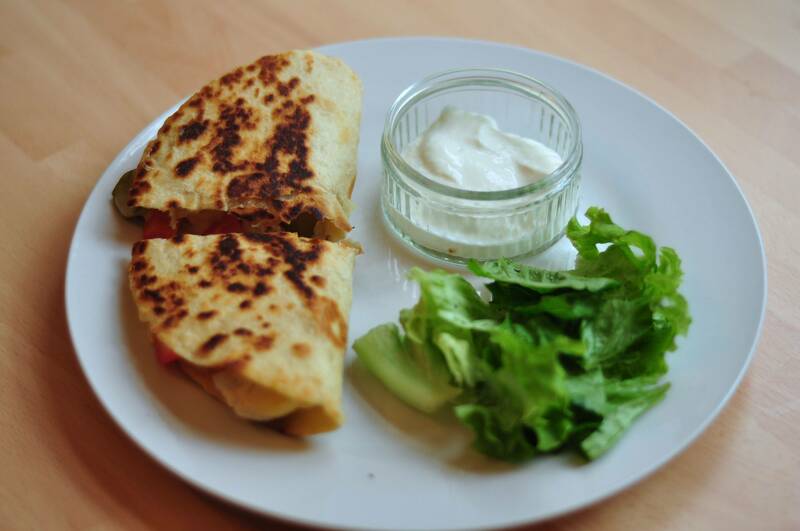 I first learnt to make Chicken Quesadillas at the age of about 15 after it became a strong favourite at TGI Friday's whilst growing up. Unfortunately, the restaurant recipes are super calorific due to the amount of butter and cheese that they add to it. However, I like to make my own version which are pretty much the same and are a lot healthier! They are super easy to make and are really good for 'movie/pizza nights in' evenings with friends as you can make lots and share them on one big plate. On this occasion, I have used Peppers, Tomatoes and Pickle, which was really flavoursome. 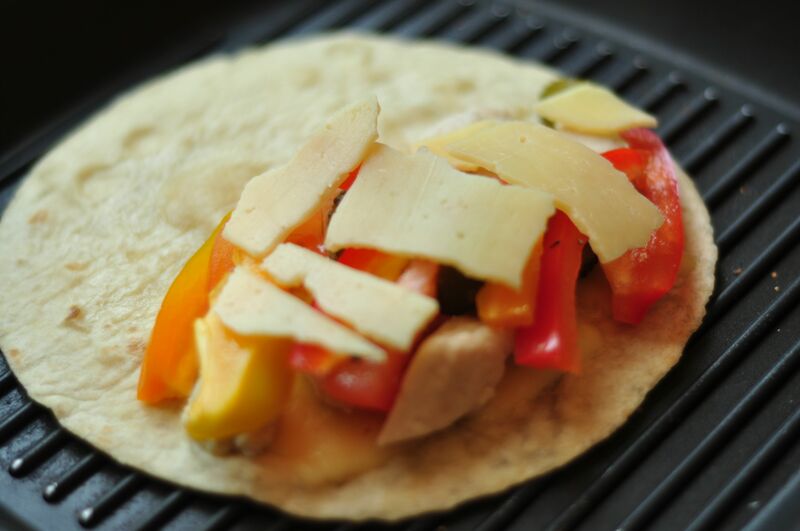 You can use any of your favourite fillings but the ones on the Ingredients list are the most common and probably the best in Quesadillas. 1. 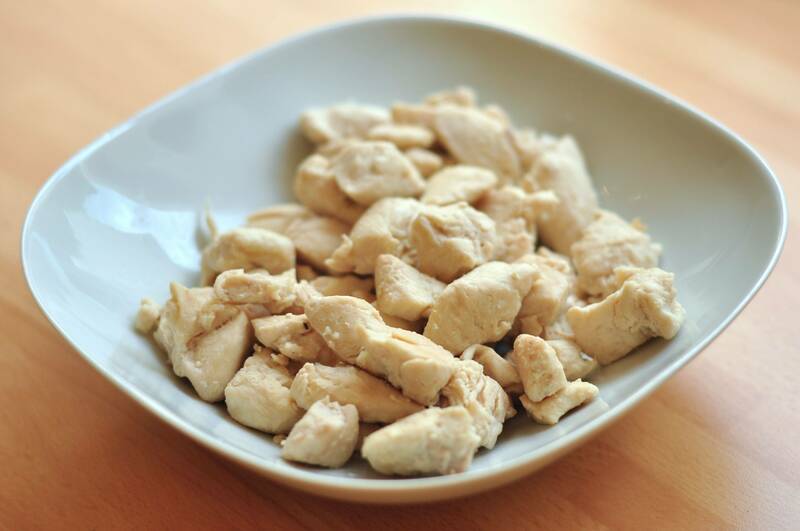 Chop the Chicken Breast up into squares. Then finely cut up a garlic clove. stirring the chicken every 5 minutes. 3. 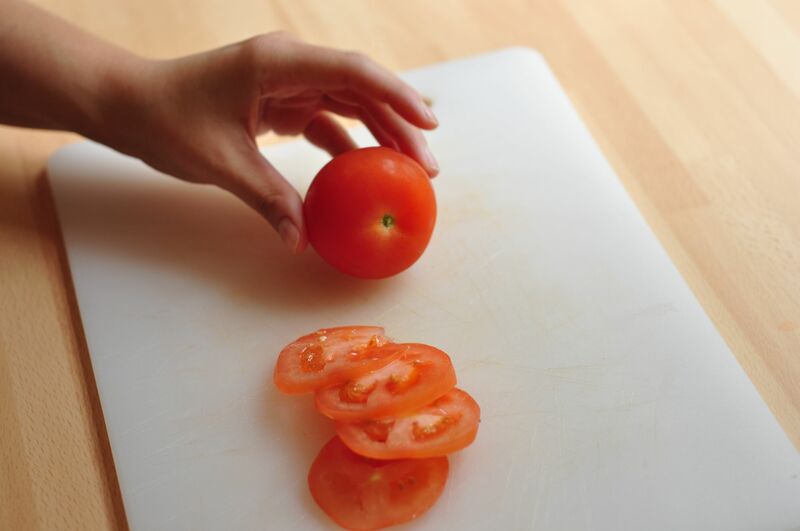 Start Chopping up the Veggies. 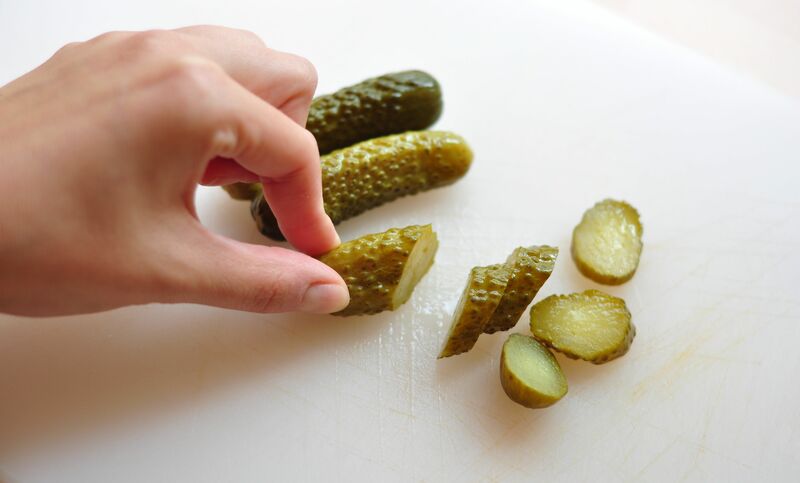 You can slice them straight or in cubes. 6. Put the Veggie fillings aside. 7. Make sure the chicken is completely cooked through and put aside as shown below. 8. 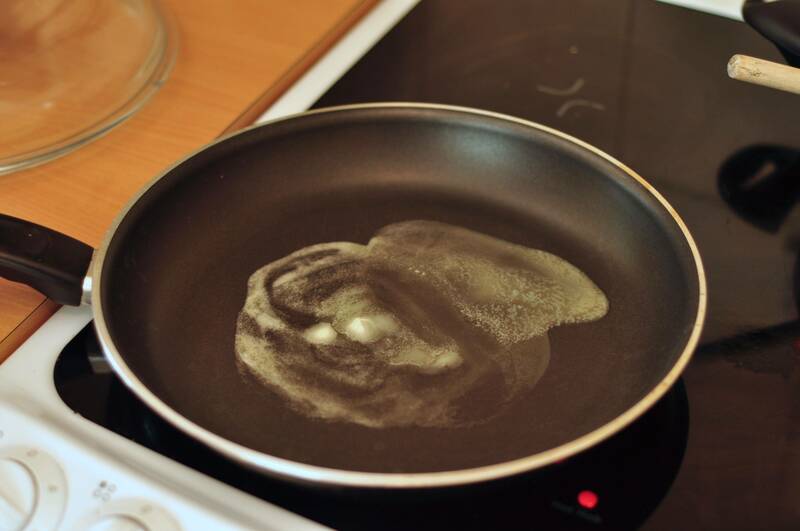 Then put a teaspoon of butter into a pan on low-heat to melt and swirl in round the diameter of the pan. 9. 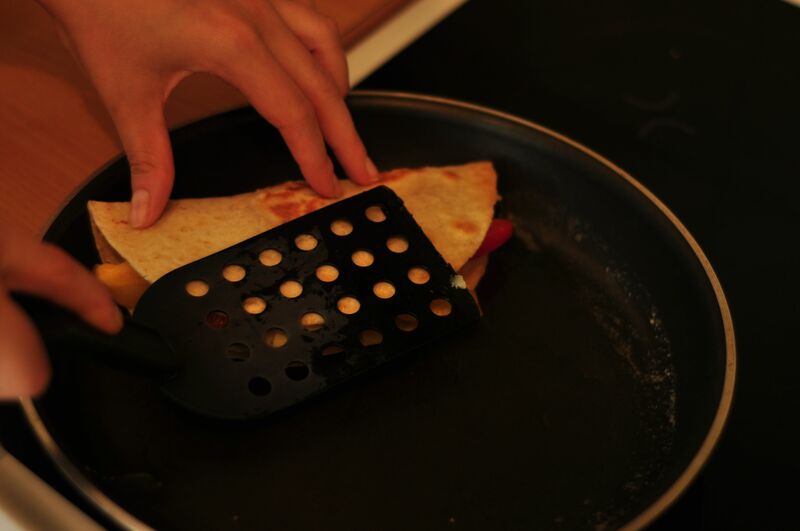 Place a tortilla into the pan for a minute and turn over to heat it up. Then add a handful of cheese onto a half side. 10. Gather the ingredients all together, ready to add the filling. 11. Add the filling one half of the tortilla, trying to make sure the the top surface is flat so that it is easier to fold over. 12. Add the rest of the cheese on top of your filling, making sure that it's on top and not going to fall down the sides easily. This will melt and seal the tortilla together. 13. Turn the heat up and gently fold over the back of the tortilla like a parcel and hold into place with a spatula,pressing down the front. Stay in this pose for about a minute so that the tortilla cooks and stays like this. When it has fixed in this position, you can also carefully flip it over, don't worry if some of the filling comes out. 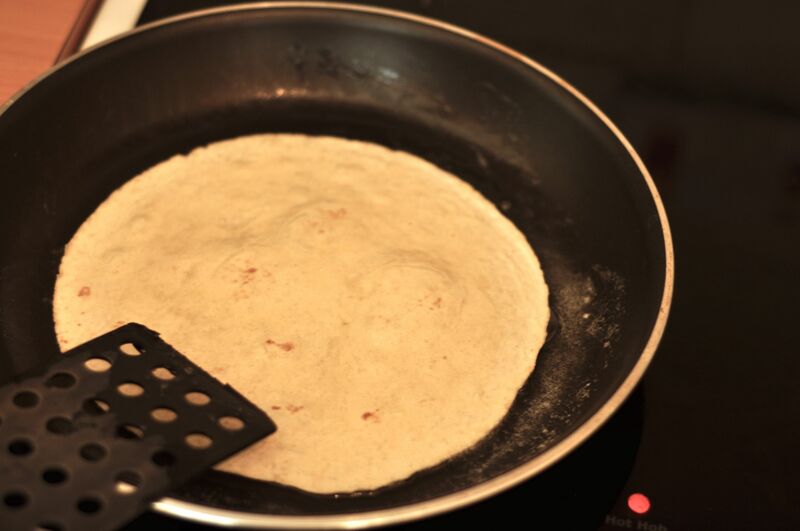 You can also push the curve of the tortilla up against the pan so that it cooks and sets as well. 14. Slice in half and serve with some sour cream and side salad. Bon Appetit!